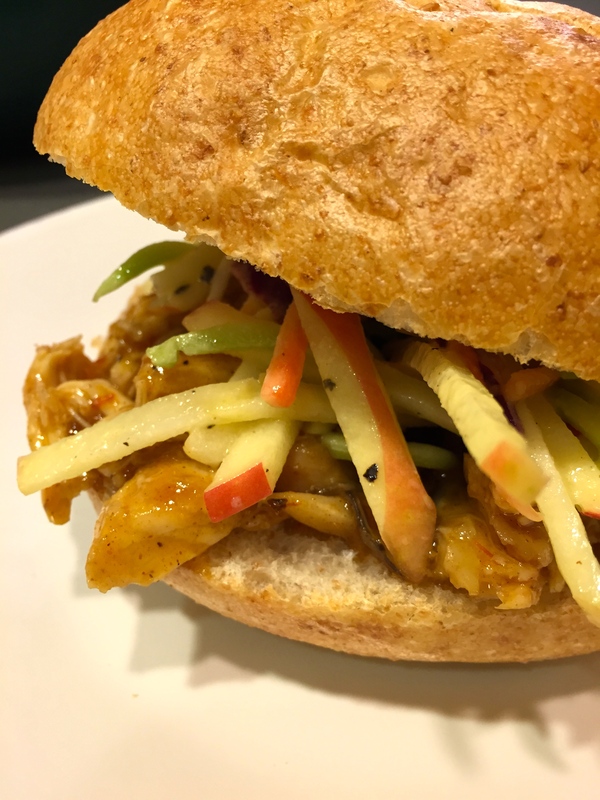 I love the fresh flavors that this marinade brings to the chicken! The marinade is so easy and I traded in whole chicken pieces for chicken breasts to make the cook time quicker. To make the marinade, combine the yogurt, olive oil, minced garlic, oregano, salt, and some freshly cracked pepper in a bowl. Zest 1 lemon into the bowl. Also add the juice from half of the lemon (about 1-2 Tbsp). Stir until the ingredients are well combined. Roughly chop a big handful, or about ¼ bunch, of parsley and stir it into the marinade. Add the chicken breasts and marinade to a gallon sized zip top bag. Remove as much air as possible, close the bag tightly, and massage the bag to mix the contents and make sure the chicken is well coated. Refrigerate the bag for 30 minutes. After marinating for 30 minutes, preheat the oven to 375 degrees in preparation to bake the chicken. 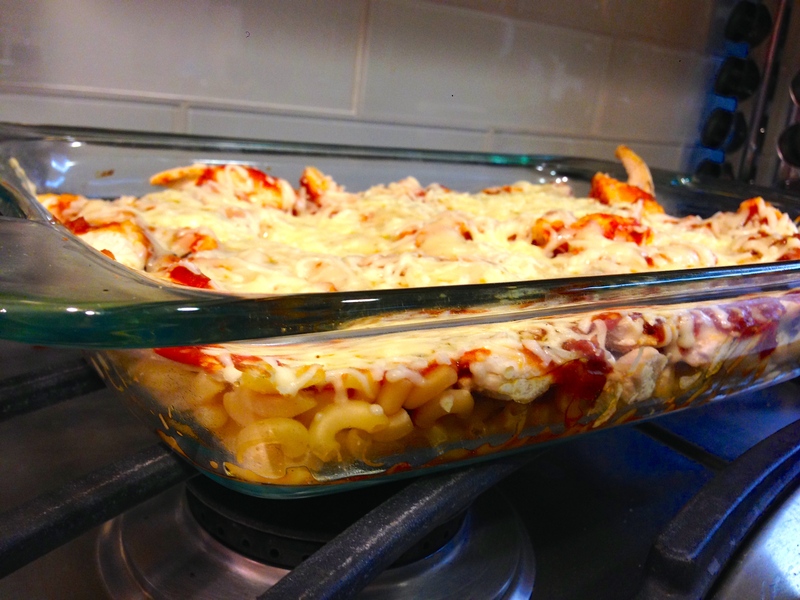 Place the chicken in a large casserole dish (9×13). 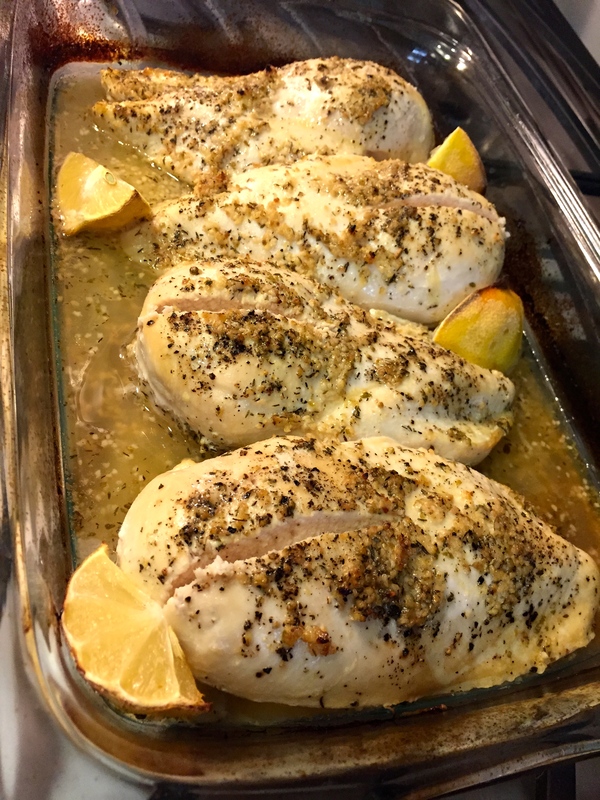 Bake the chicken in the preheated 375 degree oven for 25-30 minutes, or until chicken is cooked through. 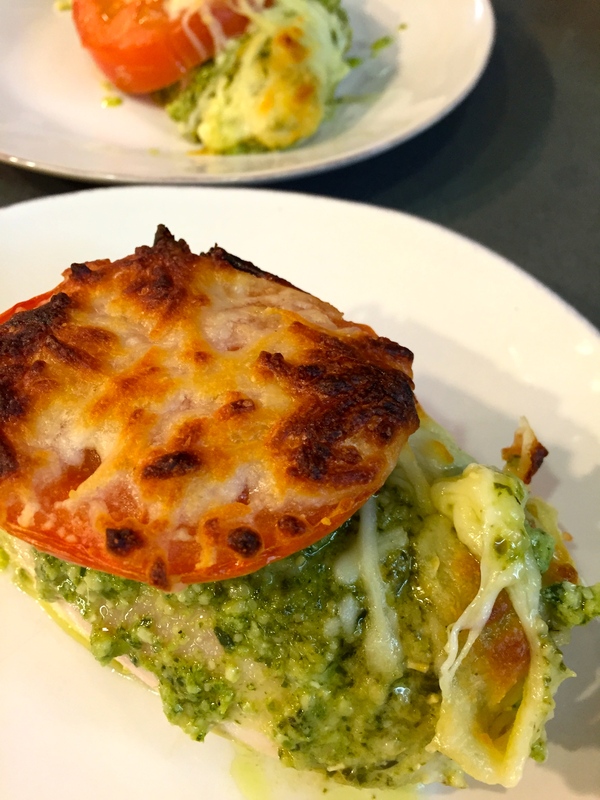 I took my favorite healthy comfort food and turned it even more healthy! 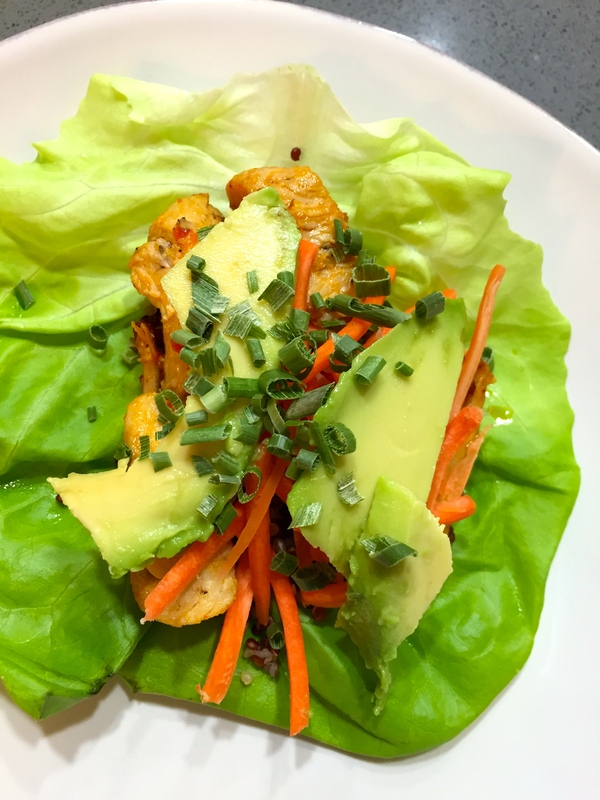 These lettuce wraps are the best way to add healthy to your diet while still getting the protein and yumminess you deserve. In a medium pot, combine quinoa and water. Bring to a boil, cover, and then turn heat to low. Cook until all the water is absorbed. It usually says on the quinoa package how long to cook it until. While the quinoa is cooking, make the buffalo sauce. In a small bowl, combine the olive oil, hot sauce, and salt. I usually use Sambal chile sauce for my “hot sauce,” so feel free to use any hot sauce you like. Whisk to combine and set aside. Heat a skillet over medium high heat. Add a tablespoon of olive oil and add chicken to saute until cooked through. Add half of sauce mix, saute for two minutes and cook the chicken for about 5 minutes or until cooked through. For me, its easier to cook the chicken breast whole first, then after its cooked cut it up. Now its time to assemble! Take 1 piece of lettuce, add the quinoa to the center, and a couple pieces of buffalo chicken on top of that. Then add a little shredded carrots and a couple pieces of avocado. Top with chopped chives if desired, roll up and serve! This has become a staple in our household. We like to call them “Grown-up chicken nuggets.” Baking the chicken instead of frying, and a little special spicy ketchup brings these chicken strips to the next level! Combine all the ingredients for the Spicy Ketchup and set aside. Preheat oven to 450°F. Prepare a baking sheet by adding a wire rack on top of it and lightly coat with cooking spray. Add the panko to a shallow dish and mix in the Parmesan and coarse salt. Drizzle the oil and mix well. Set out the flour and eggs both in separate dishes. 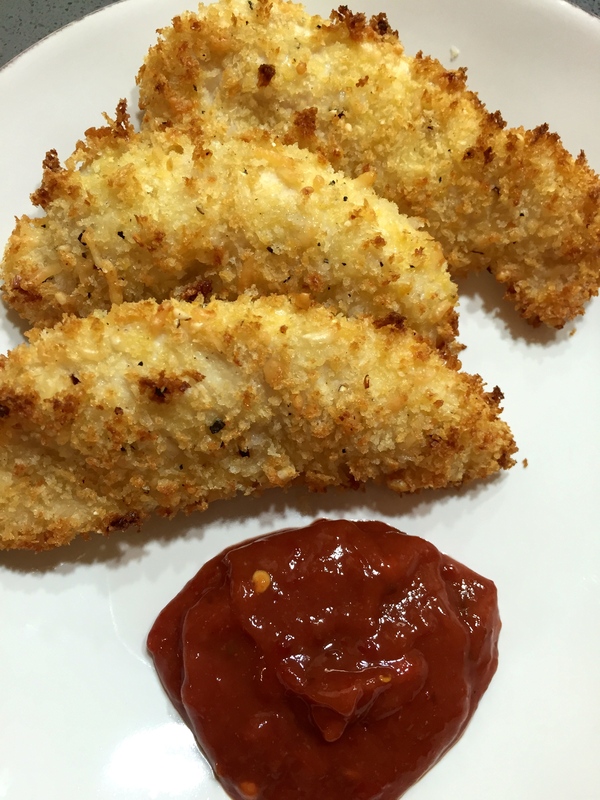 In small batches, coat the chicken in flour, shaking off any excess, dip in egg, and lastly coat well with panko. Transfer to the rack. Bake the chicken until desired tenderness, about 12-14 minutes, turning when halfway through. Serve nuggets with the Spicy Ketchup. Another great twist on chicken parm. Turning the red sauce into pesto and adding fresh tomatoes makes this American classic easy to enjoy guilt-free! Bake at 400 degrees for 30-40 minutes or until the chicken is done and the juices run clear. We all love the fried orange chicken you can get at asian restaurants. Well here is a healthier version of that guilty pleasure! 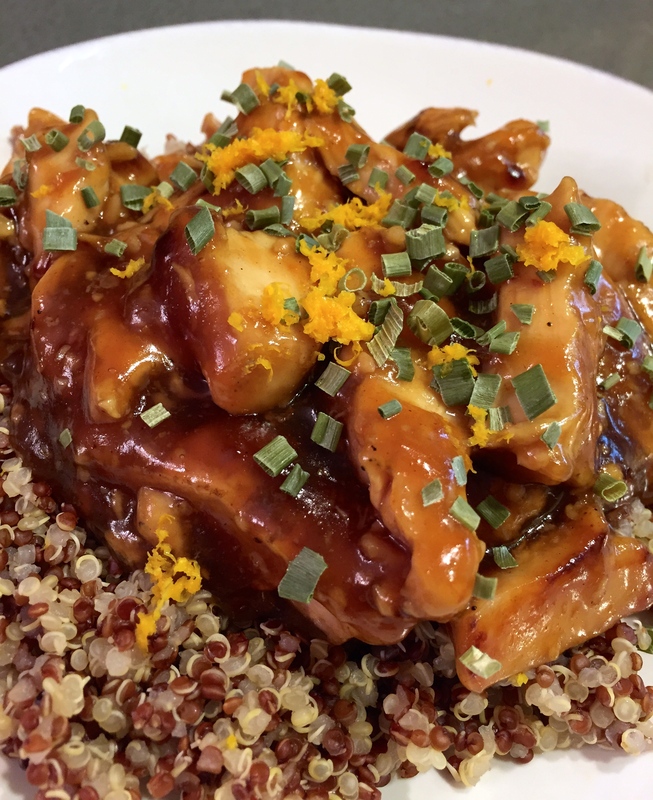 While the chicken is cooking, make the orange chicken sauce. Whisk all sauce ingredients together until combined. If you would like the sauce to be even sweeter, add an extra 2-4 tablespoons of honey. Pour in the orange chicken sauce, and stir to combine. Let the sauce come to a boil, then boil for an additional minute or two until thickened. Remove from heat and serve immediately over quinoa or rice. 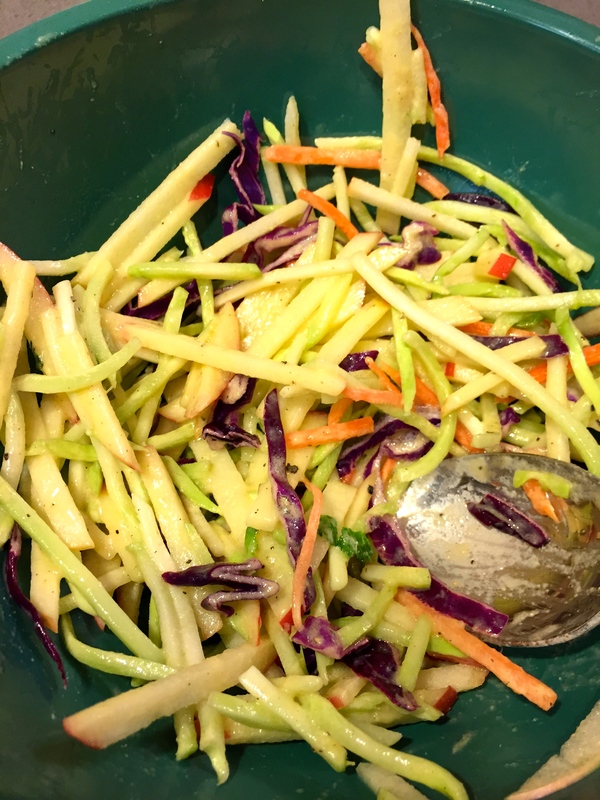 Garnish with green onions, sesame seeds and orange zest. In a large stockpot, bring the chicken broth, lemon juice, and bay leaf to a boil over medium-high heat. Add the onions, carrots, and celery, parmesan rind and bring to a boil. Reduce the heat so the mixture simmers and cook until the vegetables are tender, about 6 to 8 minutes. 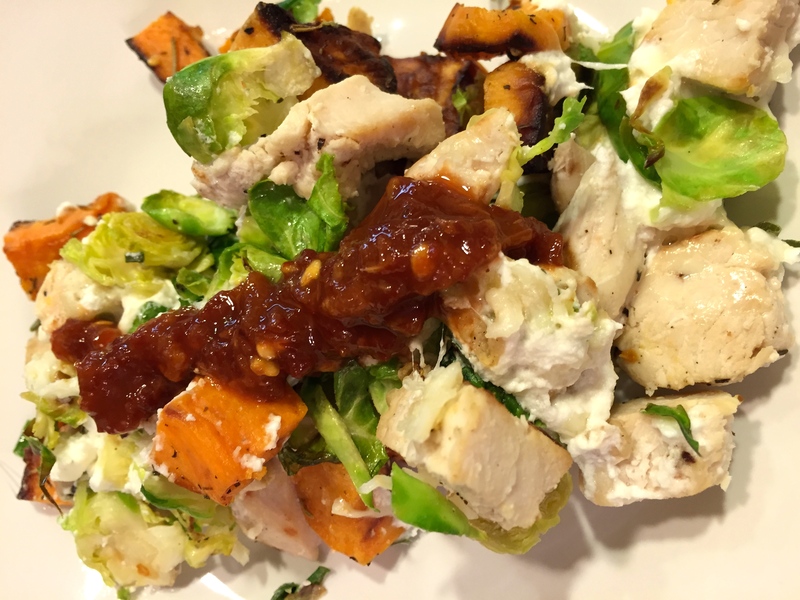 This chicken dish is one of my all time favorites! 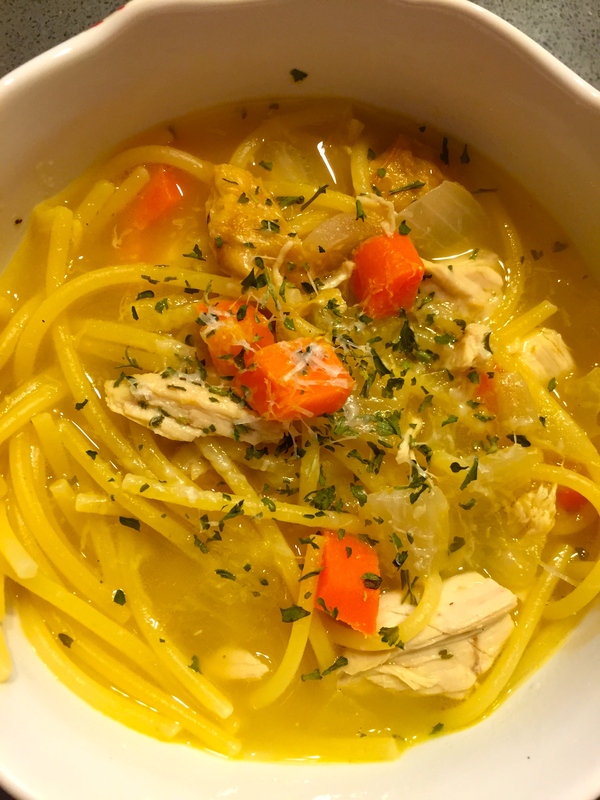 It has that lemony fresh taste that I love but still enough garlic and zest from the herbs that my husband can enjoy as well. Best part is, it is so easy to make! Preheat the oven to 425 degrees. Trim any excess fat from the breast and place in a 9 x 13 baking dish skin side up. Repeat with the remaining breasts. Sprinkle the breast with kosher salt and fresh ground pepper. 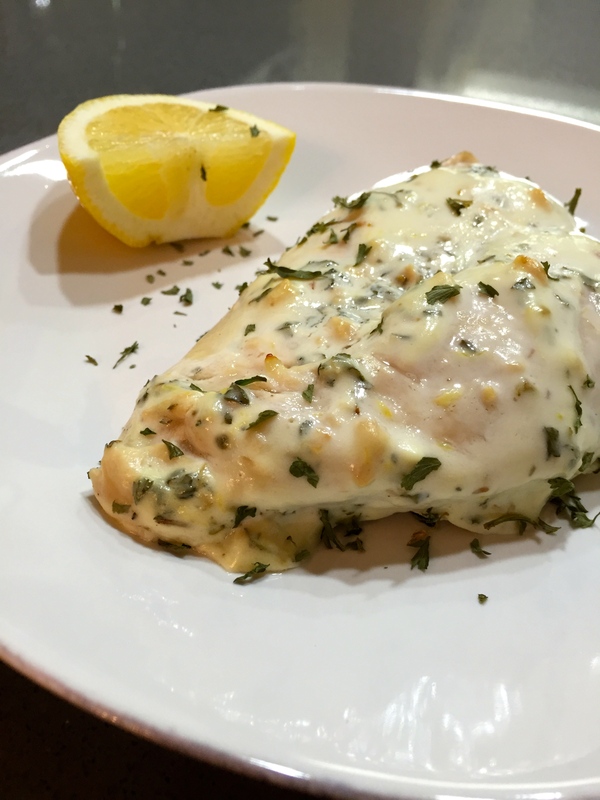 Now slice one lemon lengthwise into 6-8 wedges and set among the chicken breasts in the dish. Next add the extra virgin olive oil to a small sauté pan and heat over medium-low temperature, once warmed and the minced garlic and cook for just a minute and stirring constantly. Turn the heat off and add the dry white wine, lemon zest, lemon juice, dried oregano, and minced thyme. Pour the warm mixture into the dish to surround the seasoned chicken breasts. Add the 4 sprigs of thyme on top the chicken breasts. Bake the dish uncovered for 30 to 45 minutes, until the breasts are cooked and reach 165 degrees F. Remove from the oven, cover with aluminum foil and allow resting for 10 minutes before serving. Transfer the chicken to a serving platter and pour desired amount of cooking liquid onto the platter for service. As it gets closer to fall, I am excited for all the comfort food that will come with it! Here is one of my favorites. This one is for those who like chicken parmesan but are annoyed with how long it takes. 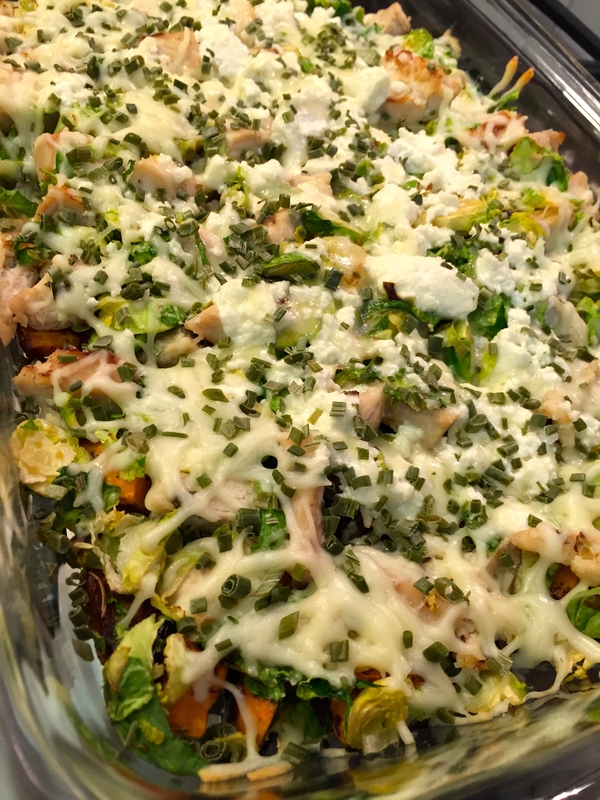 Here is a quick, healthy twist on your favorite. My husband and I love having wine and cheese nights. When we do, I like to shop in the gourmet cheese section and get a variety of gourmet cheeses to try. I luckily had a block of truffle cheese left over and thought I would use it in this dish. I didn’t have enough of the yummy cheese to cover the dish, so I added shredded mozzarella that I had on hand. I used a little bit of my favorite Sambal chile paste in the sauce to add a little spice. You can also use red pepper flakes if you prefer a less spicy dish. If you are including pasta in your dish, you’ll want to start by boiling water and cook the pasta el dente. Put the casserole dish in the oven at 350 degrees until the cheese melts, approximately 10 minutes.